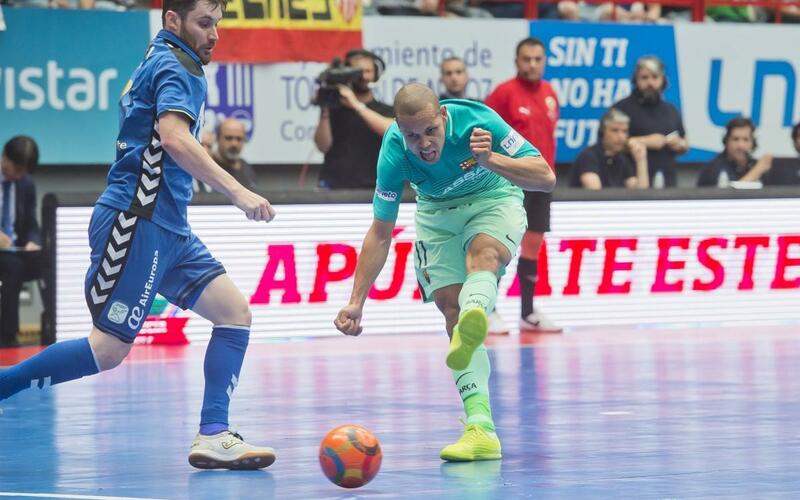 FC Barcelona Lassa are coming back to the Palau Blaugrana with the league final series tied after losing 6-1 at Movistar Inter. Despite the reverse, the Catalans are still on good course for the title, and two wins in back-to-back games on their home court would bring them the trophy. Game three in the best-of-five series is this Thursday at 9.30pm CET. And the heavy loss is not a fair reflection of true events on Saturday afternoon. Barça had plenty of chances, but it was one of those days when the ball just didn’t want to go in. A second half penalty by Dyego on Rivillos proved decisive, and Ferrao’s late goal served for nothing, other than positioning himself as top scorer in the competition with 35 goals.